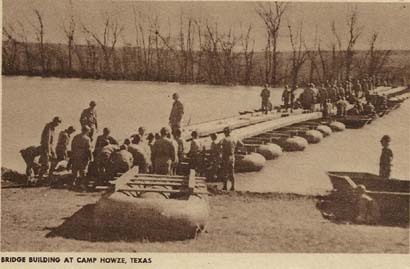 Camp Howze, WWII POW Camp and Infantry Training, Gainesville Texas. 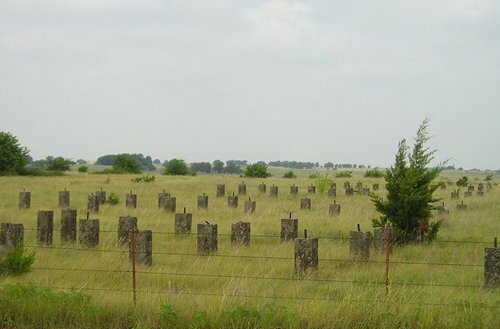 Established in 1942 as an Infantry-training camp, Camp Howze once covered 59,000 acres of Cooke County land that was acquired from local landowners shortly after Pearl Harbor. It was named to honor Major Robert E. Lee Howze, who had won the Congressional Medal of Honor and had served during the Indian campaigns, the Philippine Insurrection following the Spanish-American War, and World War I. 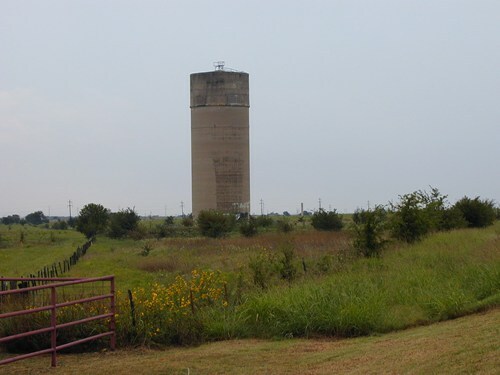 The base was activated in August of 1942, and had a capacity of just under 40,000 men. Several hundred thousand men received their training here over the course of the war and the camp later became a Prisoner of War Camp for captured German soldiers. 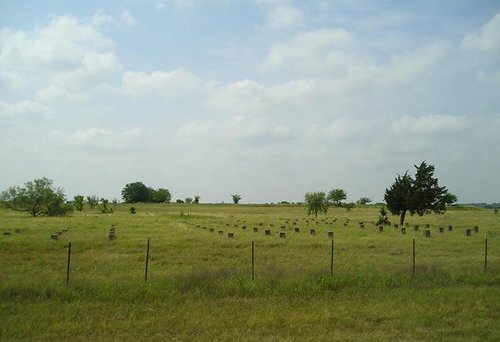 An estimated $20 million was spend on the camp during it�s construction and use, providing hundreds of jobs for Cooke County residents. After the war, the camp, like most others, was deactivated. 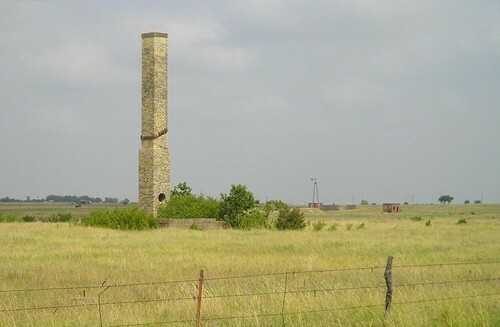 The buildings were sold as scrap and today only the cement foundations, chimneys and water towers remain. 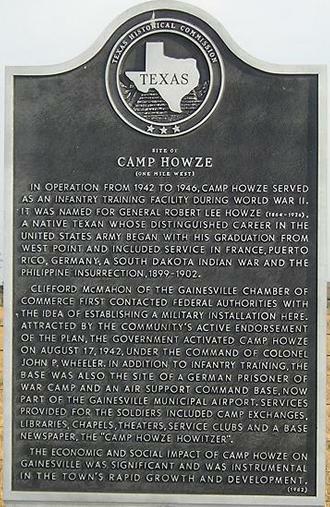 In operation from 1942 to 1946, Camp Howze served as an infantry training facility during World War II. It was named for General Robert Lee Howze (1864-1926), a native Texan whose distinguished career in the United States Army began with his graduation from West Point and included service in France, Puerto Rico, Germany, a South Dakota Indian War and the Philippine Insurrection, 1899-1902. 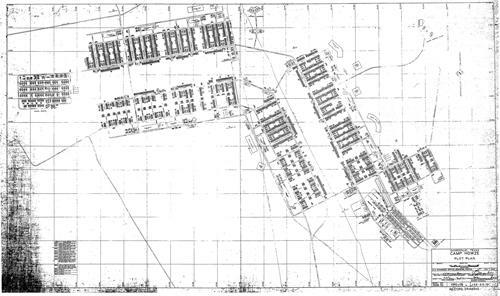 The economic and social impact of Camp Howze on Gainesville was significant and was instrumental in the town's rapid growth and development. 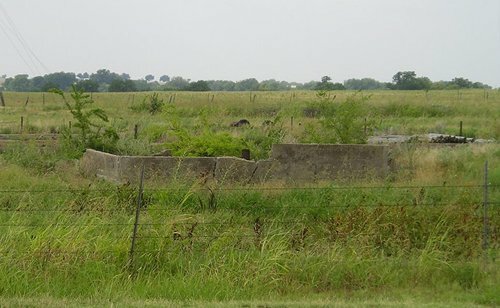 "These are the most visible remains of WWII Camp Howze NW of Gainesville. When the grass is low there are a great many small foundation supports stretching across the countryside. There are a number of small structures there but the water towers stand out. The camp was 59,000 acres (92+ sq mi). "I stumbled onto your pictures and story concerning the German POW camp at Camp Howze. Thanks for bringing back memories. I was one of those POW�s at the camp from Mar 45 to Spring of 46. There were 3 compounds for the prisoners, all next to each other. Most of us worked on area farms, I had the fortune of working at the Camp Howze laundry plant. In the Spring of 46 we were shipped home, which turned out to be a journey to England where we had to work for another few years as POW�s for the Brits.